I had no ready access to the internet to confirm this hunch, but it seemed solid. Georgia mast have some economic relations with Iran, which isn’t too far away, I reasoned. You only have to cross Armenia to get there. And developing economies like the former Soviet states are usually a good clientele for cheap cars made in other developing economies. And that horse’s head logo definitely felt Middle-Eastern. So that evening, I got online and got more info on the Iran Khodro Samand. Turns out these are a home-grown design but use a Peugeot 405 floorpan and suspension. There are several engines available, but the Samands slated for export all get Peugeot’s TU5 engine, a gasoline 1.6 litre 4-cyl. providing 104 hp mated to a manual 5-speed gearbox also found on several cars (Peugeot 207, 301 and Citroën C4, amongst others). Domestic clients could also opt for an Iranian-designed 1.7 litre plant developing 113 hp. 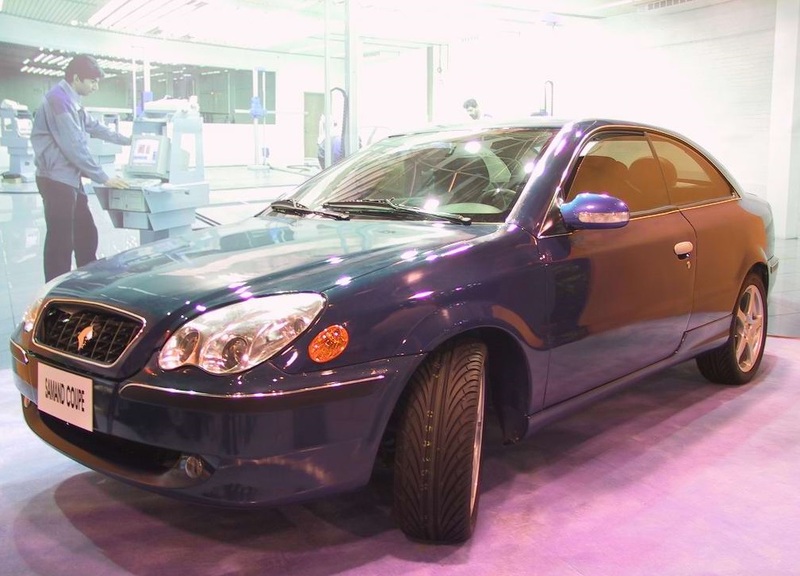 The Samand took over from the legendary Paykan as Iran’s “national car” in 2003, though some say the design was already finalized about three years prior. I’m not sure of the model year, but I understand exports to Georgia slowed to a virtual standstill after the 2008 conflict with Russia and that the LX was introduced in 2006, so I’m guessing 2007 might not be far off the mark. The current Samand has had a mild facelift in the intervening years and it seems a Samand coupé is (was?) being mooted, though it’s not listed on Iran Khodro’s website. Export markets are pretty numerous – countries Africa, Asia, South America, Eastern Europe and the Middle East have imported or are now importing Iranian cars. As is Russia of course, if nothing else than for geopolitical reasons. So is it any good? Well, if it’s basically a Peugeot 405, yes, it ought to do just fine. A 2011 model was tested back in the day on a website that purports to assert the verity regarding automobiles. Yes, that one. And they seemed pretty impressed by the results. 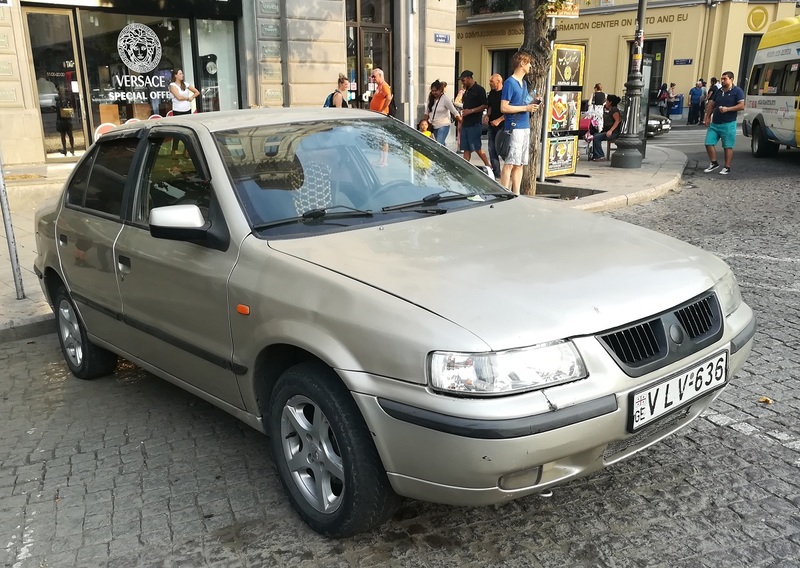 The Samand LX we have here was, at the time, the top-of-the-line model, complete with A/C, alloy wheels, mp3 player, Bluetooth connectivity and various other kit as standard. Retail price would have been in the US$ 10-12K region about ten years ago. Not bad for the money. In terms of styling, this car is really about as bland as a bread sandwich. 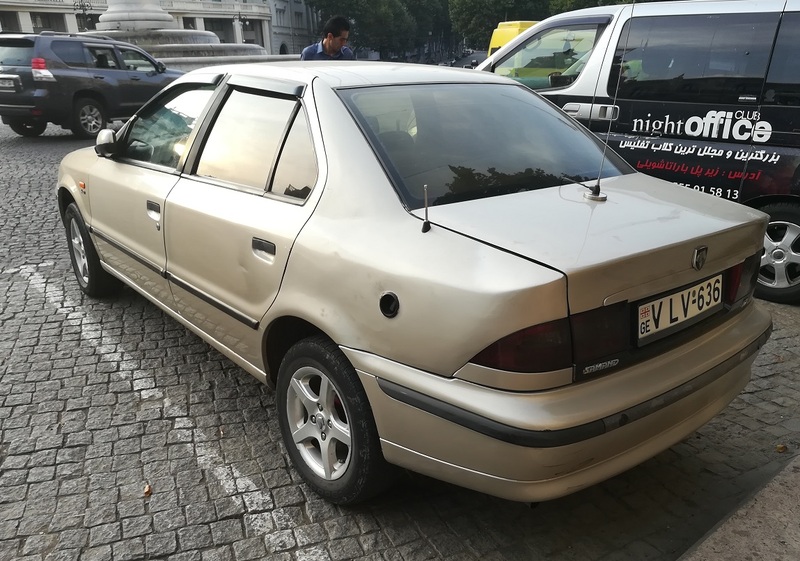 It looks like a ‘90s Škoda met a Daewoo it fancied and had this bundle of blah delivered in a Teheran nursery. Perhaps Irv Rybicki did some covert consulting work in the late ‘90s we haven’t heard about. If there’s anything that one could hold against it, it’s that Iran’s “national car” is not a good reflection of the country’s “national character”. Although it does appear that a stretch limo version, the Sarir, is available – so there is hope. Also, what’s that round black dingus on the left quarter panel? That’s the CNG refill port. That’s its belly-button, clearly an “innie.” See Tatra’s birther story, above . . . I believe the square stone paving blocks are known as setts, in GB at least. Kindly verify or correct, as necessary. Setts is OK, cobbles a more usually term. What language is that on the “Night Office” van? It doesn’t look like Georgian to me – maybe Arabic or Farsi? 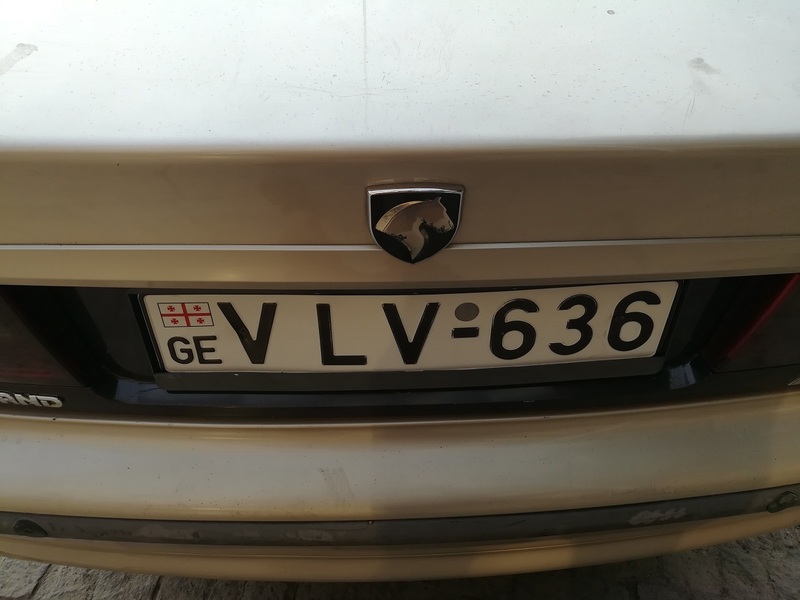 The car picture is very likely a dual fuel car, running on petrol and probably CNG… so my money is on this one having a Peugeot XU7 engine: 1.8, 8V all alloy construction. ~5-10 years ago, most Iranian ones would have had the XU7, running either on petrol or CNG or both. They drive pretty well, interior is very comfy and are also strong and safe. A pleasure to drive with the TU5, which although low on torque compared to the XU7, loves to rev and will pull strongly all the way to the redline, 6.5K RPM IIRC. Good handling. The cloth on the LX (pictured) is much softer than the rugged stuff (think Falcon XT/Omega) used in the standard Samands. There’s still quite a resemblance to the 405 in the overall profile. Obviously it looks much more modern than the Peykan, but really even when it started production the underpinnings were well over a decade old whereas the original Peykan was only a year behind the Rootes Arrow it was based on. That stretched version is a betrayal of the car’s Peugeot roots; surely the extended wheelbase deserves the extended rump of a wagon? This certainly expands our archives. Yes, the profile really belies its 405 origins. Tatra, thanks for this article. 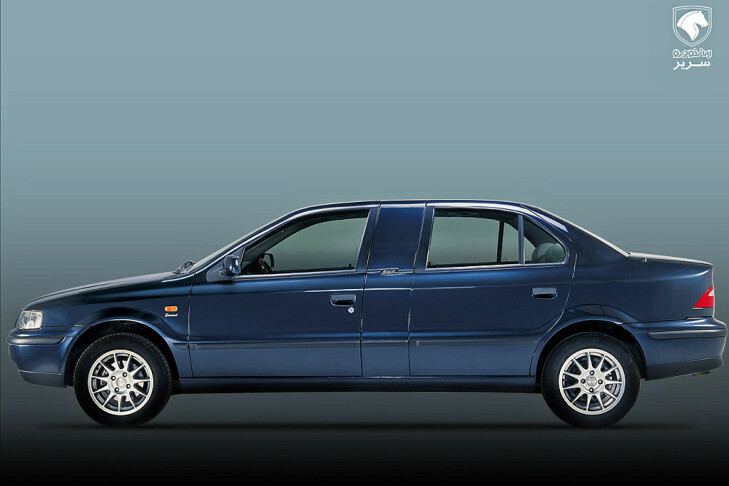 I had a vague recollection of an Iranian Peugeot 405 but hadn’t seen photos. When I saw the photos show up in the backend of the site, I was intensely curious but resisted the temptation to peek. My guess had been Russian. I can always trust you to write an entertaining and informative article on a car I know nothing about. As Paul mentioned, I’m glad to see the archives expand with cars like this that have never been featured on CC! It’s a stretch, but the front end treatment looks VAGUELY like a Hyundai Sonata from the early ’00s. Of course, it also looks a bit like the Hyundai Tucson(?) of about 10 years ago. There aren’t many cars that haven’t been covered here any longer, but I’ve had a few lucky breaks of late. Very Interesting& Accurate CC.Thank You Tatra.I Need To Mention Something Here,Iran&South Korea Both Had Started Their Car Industry Around Same Time,But SK Is Hundred(Light) Years Ahead Of Us.We Have A Young&Educated Population But Down Here The State Owns Almost Every thing(Including Car Industry).And That is A Big Issues.While Many Young Iranians Are Working For NASA,Microsoft,Bmw& etc(Brain Drain).We Have A Shortage Of Car Designer Other Skilled Professional s.By The Way It Was Announced On TV Here That Samand Is Going To Be Replaced By IKco Dennis By The End Of Iranian Year.20March 2018. Thought you might chime in! I think Korea’s a special case. It was literally flooded with American money in the ’60s and ’70s. Nothing like a Marshall Plan to get your economy in gear. Just ask post-war Europe and ’50s Japan. Iran, along with a long list of other countries, never got this kind of aid. The fact that your country has a carmaker is a pretty impressive feat, when you consider the context. Looking At It From That Point Of View You Are Right My Friend.We Had The 1979 Revolution,8 Years Of War With Iraq& We Have Been Under Tough Sanctions For Almost 40 Years.Plus A Bunch Of Idiots (Ayatollahs)Running Our Country.Thanks Again For your Great Cc Tatra87. This car was assembled in Belorussia at some point. As far as I know all Samands that were sold in Russia were made in Belarus. The were not popular, so production stopped. BTW I think that grill is aftermarket. Is it just me or does that Samand have a first generation Volvo S40 vibe to it? I actually like the look of the Paykan. A nice unbattered one still looks good today. I guess it was because the original design of the Hillman was so attractive. I think that black circle on the side is for the CNG port. Most Samand cars were dual fuel at one time. I agree that the Hillman was an attractive design, well balanced and, for 1966, quite up-to-date, though no fashion leader. The early Peykans used the Singer style grille as on the Vogue and Gazelle. Looks like a tribrid of a first generation US Passat, Infiniti G20 and Lexus IS300. Yes I can see a 405 in that handy to know that parts for those must still be in production in Iran, the Hillman based Paykans used a Pug engine in the later versions I’m told. The mechanical bits are 405’s for the most part. And the 405 is still in production in Iran. They used to have some other concoctions there, like the Peugeot ROA. The rear suspension setup is a packaging marvel. Those 3 torsion bars allow for a very compact setup. It is also self-contained, a couple of bolts and the whole thing comes out. The XU7 engine, tilted towards the firewall, helps with the weight distribution. The TU5 and (IKCo) EF7 sit upright. I remember reading reviews of the Samad in the authoritative Russian auto-mag “Za Rulem,” it seemed like a really well position product within the scope of the Russian car market at the time. Solid, ruggedized 405 underpinnings for an attractive price. No idea how well they actually held up with use. Samand s Are Being Used Here As Police Cars&Taxi Cabs(personal Cars as Well)my Uncle’s Samand Lasted Over 450 K KMs On Same Engine Without any Major Work(They Do Need The Valve Cover gaskets Every 150k KMs Or So). They Are No Honda But With Just Oil Change You Can Make Them Last 20 Years As There Is Still Alot Of First Years Of Samand s Are On Road(2000&2001Models). 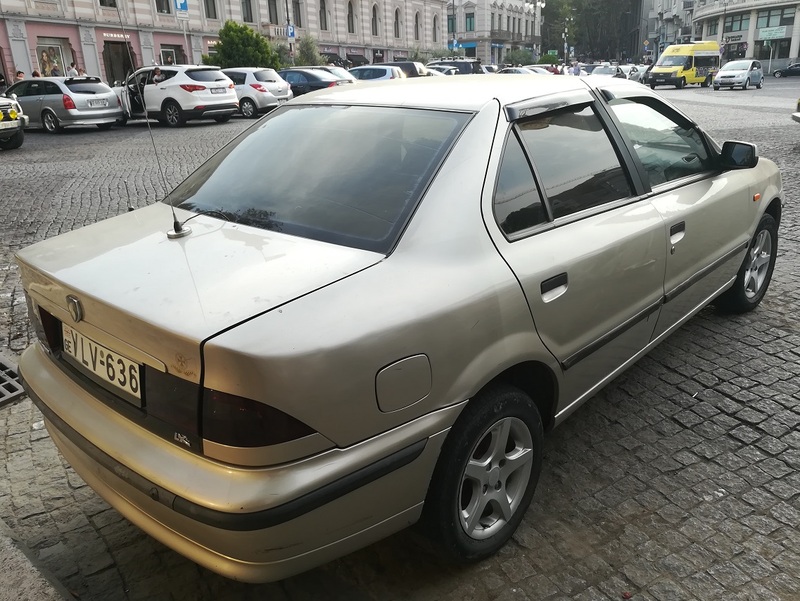 The grille reminds me of a dechromed version of that on the 2003-8 Nissan Almera (Sunny, Bluebird Sylphy depending on market), but although it’s based on the Peugeot 405, the taillights and the overall shape look more like the smaller Peugeot 306 sedan. Hu there, thank you for the article. It is great to see people’s interest in a rare and unique vehicle. I would like to mention that the Samand evolved since it’s creation. It did have a heavy facelift that was changed that much it created the Soren. The Soren then was updated into the Soren ELX. It has a new dashboard, new grille etc to refresh it’s image. Also, they have created a car after that called Dena. 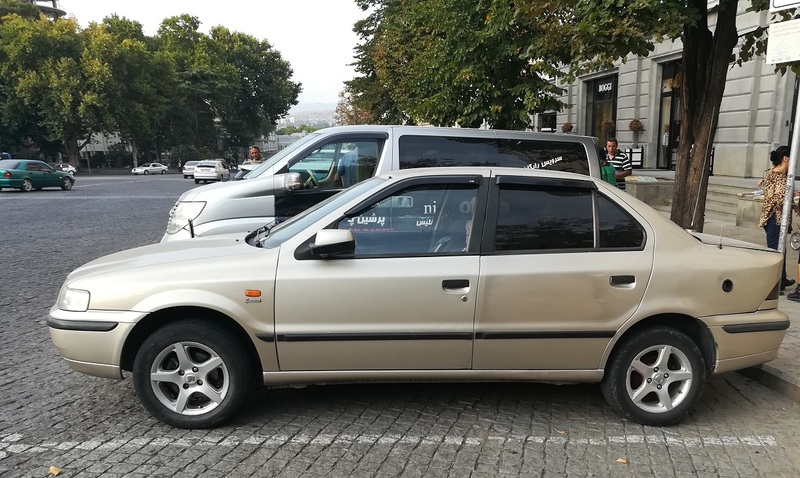 Dena has been completely redesigned, both in terms of it’s interior, exterior, it still uses it’s “National” platform (the peugeot 405 chassis), however it has been modernised. The engines consist of Peugeot and Iranian developed engines and Iran Khodro has been working on a CVT gearbox with Punch Powertrains. The current version is an upgraded version called “Dena+”. The sides of the car have been redesigned, a new infotainment system has been upgraded, a new electric sunroof has been implemented, as well as other features, such as the grille, electric folding and resdesigned door mirrors, new front and rear lights with daytime running lights intergrated into them. IKCO has recently signed a deal with over 10 other companies, both domestically and internationally, in orser to develop a new product that can compete with global brands. Pininfaria will be responsible throughout the design, concept ad production stages of producing this car. The chassis will be of Iranian design and the engine and gearbox will be co-developed with international brands to comply with Euro 6 and should comply with Euro Ncap Safety Standards.. IKCO has also been talking about EV and Hybrid vehicles as part of it’s product basket. The next couple of years seems to be quite an exciting time for IKCO. I will show you also a link for the Dena+. Please let me know what you think?